Things Not Seen is about a teenage boy named Bobby who wakes up one day and discovers that he's invisible. When the police get involved with his unique (or is it unique?) situation he has to learn how to survive in a world where people are frightened by the unusual. Will Bobby ever become visible again? Or will he have to stay this way forever, lonely and isolated from everyone but the ones closest to him? I like this book because it shows how people view things differently. When Alicia meets Bobby she thinks he's just a normal person because she's blind. Everyone else, on the other hand, freaked out when they heard or felt Bobby, but didn't see him. I would recommend this book because it's good and interesting to think about things from different perspectives. People who like science fiction with a little bit of suspense would probably like this book. At the end of the first book in the series, Tally agrees to become pretty to be a test subject so that she can save her best friend from the pretty operation. But, when she is pretty, she sees no problem with staying pretty. In this book, it follows Tally's journey of changing her mental state to stay normal. I liked this book a lot. It was interesting to see how the society worked and why it worked that way. I also like to see Tally and her journey to stay normal. I would recommend this book to anyone who read the first one in the series. It picks up right where the first book left off. Tally Youngblound lives in a futuristic society where all citizens are considered "ugly" until they undergo a surgery making them "pretty" at age 16. She declines this transformation after meeting a gal named Shay, who before leaving, tells her of a different, more interesting and rebelling life. Tally is then blackmailed by the leaders of the society, Special Circumstances, to find Shay or else never become pretty. This launches her into an adventure as a spy, whilst learning the deep secrets of her world that definitely aren't pretty. 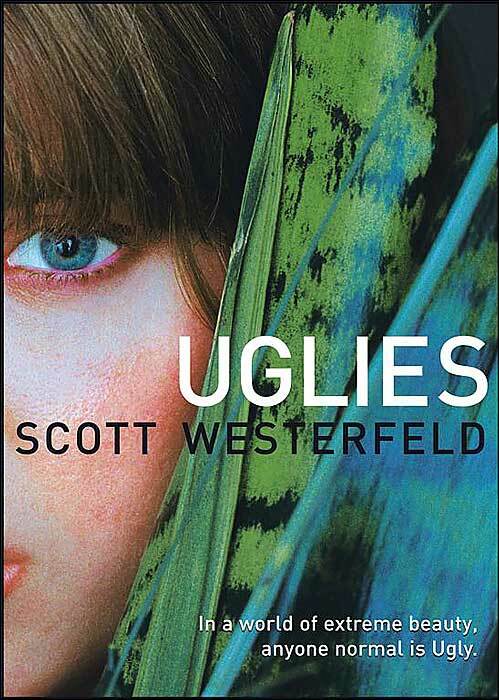 Uglies was a very good novel in many ways, but what stood out to me was the world it took place in. It really made me contemplate about an attractive future and how easily it could be manipulated. Aside from that, this book was very well detailed in its technology, and it moved at a quick pace despite its length. Overall, this is an excellent novel for anyone who needs their dystopian fix. Anyone who enjoys sci-fi fiction would get a knack out of it, too.